Platelet-rich plasma (PRP) injections (also known as mincroneedling or collagen induction therapy) are considered one of the most effective treatments to reverse the signs of aging available today. The procedure is minimally invasive and generally causes very little discomfort. It is for this reason that a growing number of patients talk to their doctors about PRP treatments to promote collagen production to reverse the signs of aging. These facials are currently offered by the functional medicine doctors at BioDesign Wellness Center in Tampa, FL. With this procedure, the patient’s own blood is extracted for use during the procedure. PRP treatments employ the use of platelet rich plasma, which is a substance found in your blood that helps your blood to clot and heal damaged skin. However, clotting is not the only function of plasma. It also promotes cell growth after the clotting process is complete. This same cell growth caused by the introduction of platelet-rich plasma can also reverse the signs of aging, which is the main goal of PRP treatments. Once the patient’s plasma has been extracted it can be injected into the face, and the age-reversing process can begin. The microneedling device used for the injections is very similar to acupuncture. Fine needles are used to puncture the facial skin a number of times quickly and relatively painlessly. The microneedling device is placed over areas of your facial skin affected by aging, and a motion very similar to shaving is used during the procedure. Once the microneedles puncture the skin they inject the platelet-rich plasma, and the healing process begins shortly after. The plasma triggers the body to create new collagen and elastin in a natural, healthy and safe way that can reverse the signs of aging that appear on your face over time. 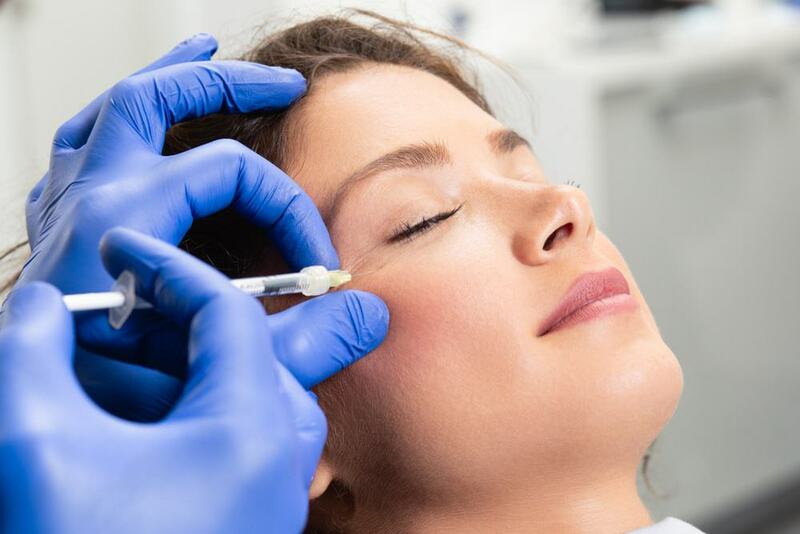 With convenience, minimal cost, and minimal discomfort, dermatologists are recommending PRP treatments more and more, citing the procedure as one of the quickest and most effective ways to reduce (or even possibly eliminate) the appearance of aging altogether. Why should I get PRP treatments? Platelet-rich plasma injections can help you reduce the signs of aging safely and effectively. There are many home remedies and self-help kits out there that claim they can achieve the same results. These methods can often times offer you false hope for a quick fix. PRP treatments for your face should be performed by a licensed practitioner to ensure safe and optimal results. Talk to your doctor to discuss the risks and benefits of treatment with PRP treatments. When applied correctly to the face, PRP treatments can be very effective when it comes to helping you regain a naturally youthful look. As we mentioned earlier, it is also considered one of least discomforting and safest anti-aging procedures available today. It has a very low risk when it comes to leaving the patient feeling plastic or overdone, which is a common concern of many patients seeking age-correction therapies. To schedule your platelet-rich plasma facial with the functional medicine doctors and experts at BioDesign Wellness in Tampa, FL, click here or call us at 813-445-7770. We can’t wait to help you feel better on the inside and look your best on the outside!